Mastering the Art of the Tarot and the Science of Astrology enables Audrey Alison to provide strong, intuitive astrological readings for clients globally and daily. She has over twenty five years of experience reading The Tarot, as well as an innate gift of mediumship. Her purpose as an empath, tarot reader, clairvoyant, metaphysical advisor and astrologer is to help heal and offer clarity and guidance to others searching for assistance on their life path. Audrey is currently a member of the International Academy of Astrology and The American Federation of Astrologers. This practice has been her calling since she was young, but has now manifested into a career of service to help counsel people with her intuitive gifts and combined knowledge of the astral, astrological and metaphysical. As a Gemini/Cancer (29°59’38”), born exactly on the Cusp of Magic, her specific role on this path is that of the Empathic Messenger. Reservations recommended, additional availability based on a first come first served basis. 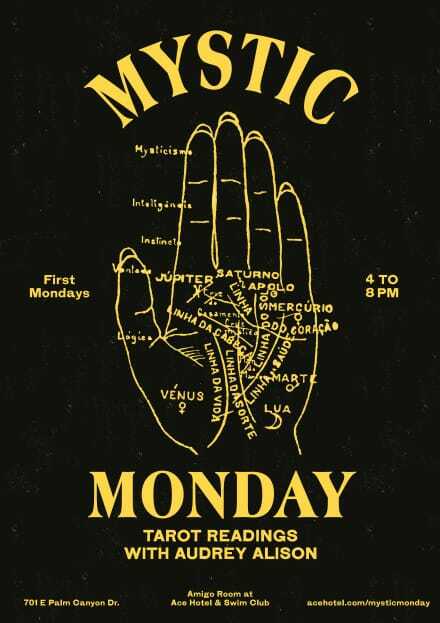 Readings held from 4 pm-8 pm.